Includes one pair of leg warmers. Knee-high design. Cable knit pattern. Designed to be worn scrunched. One size fits most. 60 percent acrylic, 30 percent polyester, 10 percent wool. Machine wash inside out on a cold, gentle cycle. Line dry or tumble dry on low. Imported. Lose grasp of nothing with the Grip Full Toe Bellarina. Sold as a one-pair pack. For all barefoot activities like barre, Pilates, yoga, and dance. Five-toe construction allows toes to spread naturally. Fitted heel keeps sock in place to eliminate bunching and twisting. Pull tab at back for easy on and off wear. 77 percent cotton, 19 percent polyester, 4 percent other fiber. Machine wash warm, tumble dry low. Imported. Sold as a one-pair pack. Knee-high design. Five-toe construction allows toes to spread naturally. Half-toe design lets toes touch surface for a heightened barefoot experience. Arch support band. Non-slip grip keeps feet in place. Fitted heel keeps socks in place, and helps eliminate bunching and twisting. Great hygienic alternative to bare feet. 90 percent organic cotton, 10 percent Spandex. Materials may vary from color to color. Machine washable. Line dry or low heat in dryer. Imported. Measurements: Weight: 0.4 oz Product measurements were taken using size MD (Men~s Shoe 7.5-9.5, Women~s Shoe 8.5-10.5). Please note that measurements may vary by size. From plank to shoulder bridge the toesox Grip Half Toe Low Rise will help keep you stable. Sold as a one-pair pack. 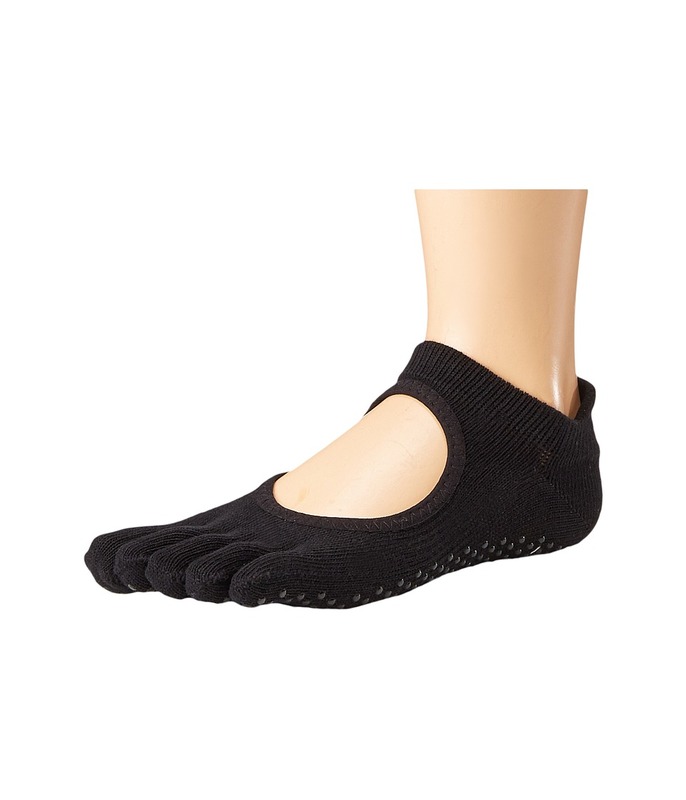 Ideal for barefoot activities like barre, Pilates, yoga, and dance. Open toe construction allows toes to spread naturally. Fitted heel keeps sock in place to eliminate bunching and twisting. Heel tab supplies extra comfort and protection to the Achilles tendon. Non-slip grip keeps feet in place. 77 percent cotton, 19 percent polyester, 4 percent other fiber. Machine wash warm, tumble dry low. Imported. 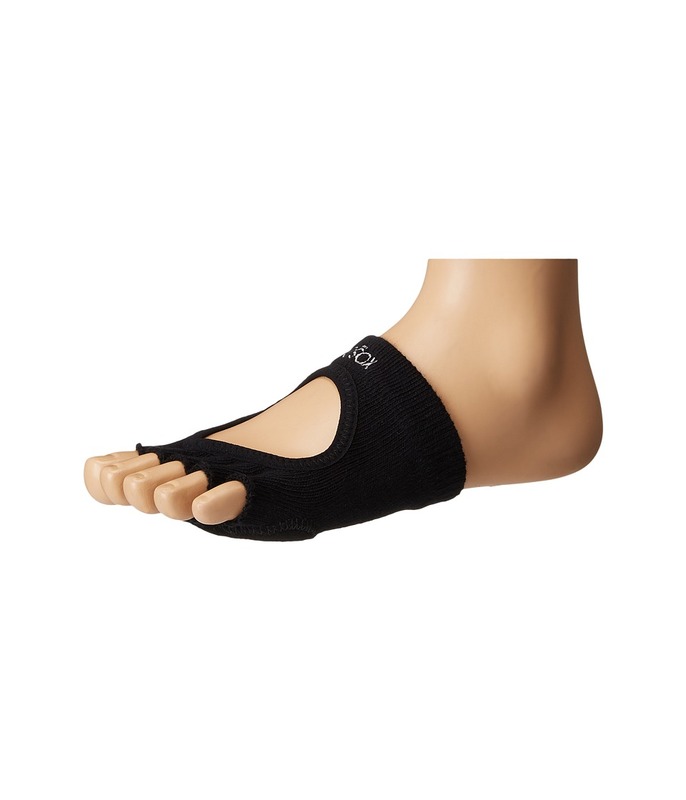 Dance confidently through class all night long with the toesox Dance Full Toe Plie! Sold as a one-pair pack. Low cut length holds around ankle with open front. Individual toe design allows digits to move and spread naturally. Fitted heel keeps sock in place to avoid bunching. Strategically placed leather pad provides superior traction for twists and turns and stops while cushioning the metatarsal head during lands and releves. Partial patented grip offers steady foot placement. 90 percent organic cotton, 10 percent spandex. Hand wash. Line dry. Imported. Measurements: Weight: 0.6 oz Product measurements were taken using size MD (Men~s Shoe 7.5-9.5, Women~s Shoe 8.5-10.5). Please note that measurements may vary by size. 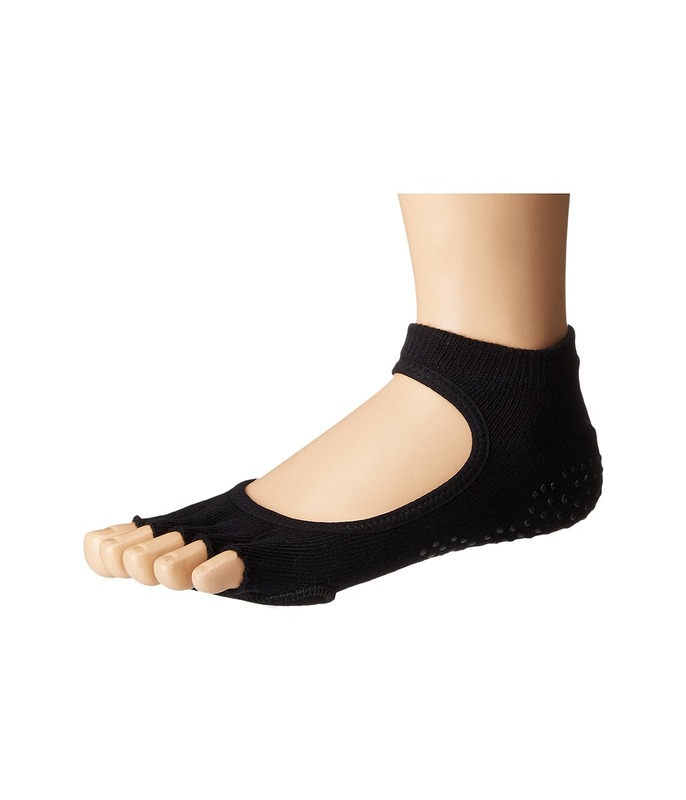 Bound, leap, and turn with grace and agility in this toesox dance sock. Sold as a one-pair pack. 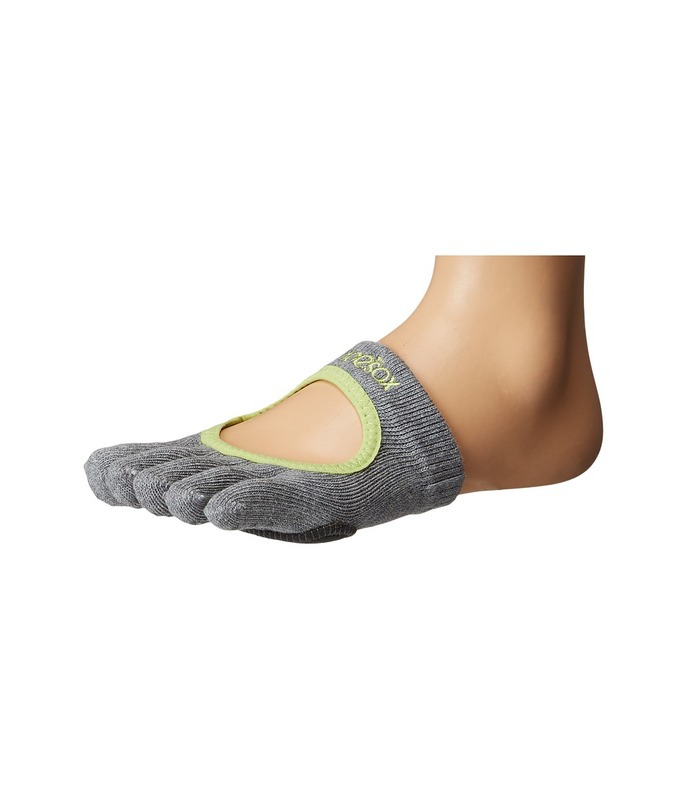 Half-toe construction allows toes to touch surface for a more barefoot-like experience. Five toe design lets toes move and spread naturally. Fitted heel keeps sock in place, while helping to eliminate bunching and twisting. Leather pad at forefoot delivers optimal traction for turns and stops. Textured grip at bottom of heel promotes optimal foot placement. 90 percent cotton, 10 percent Spandex. Hand wash. Line dry. Imported. Measurements: Weight: 0.6 oz Product measurements were taken using size SM (Men~s Shoe 5-7, Women~s Shoe 6-8). Please note that measurements may vary by size. 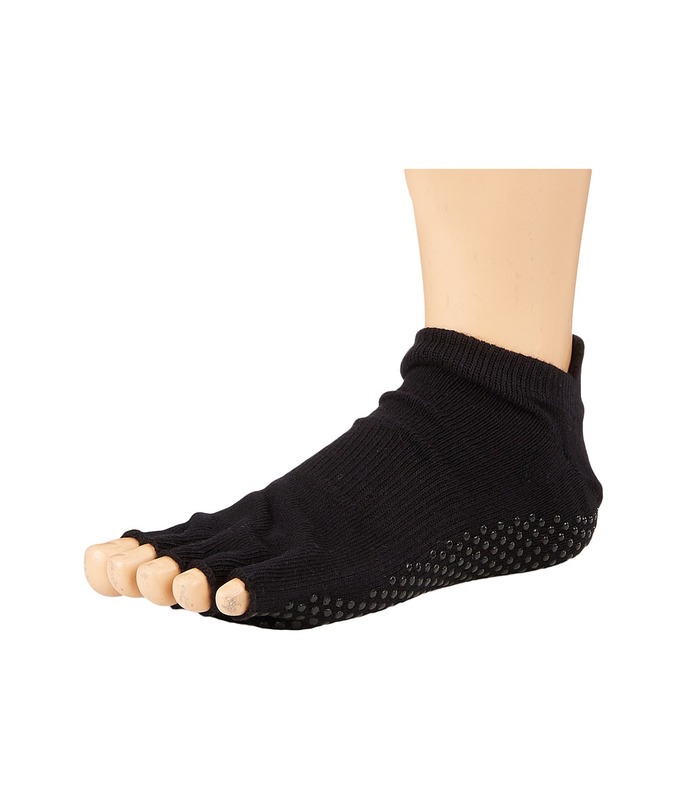 Release your physical creativity with toesox Dance Full Toe Releve! Sold as a one-pair pack. Half low cut length with open front. Individual toe design allows digits to move and spread naturally. Fitted heel keeps sock in place to avoid bunching. Strategically placed leather pad provides superior traction for twists and turns and stops while cushioning the metatarsal head during lands and releves. 90 percent organic cotton, 10 percent spandex. Hand wash. Line dry. Imported. Measurements: Weight: 0.6 oz Product measurements were taken using size SM (Men~s Shoe 5-7, Women~s Shoe 6-8). Please note that measurements may vary by size. 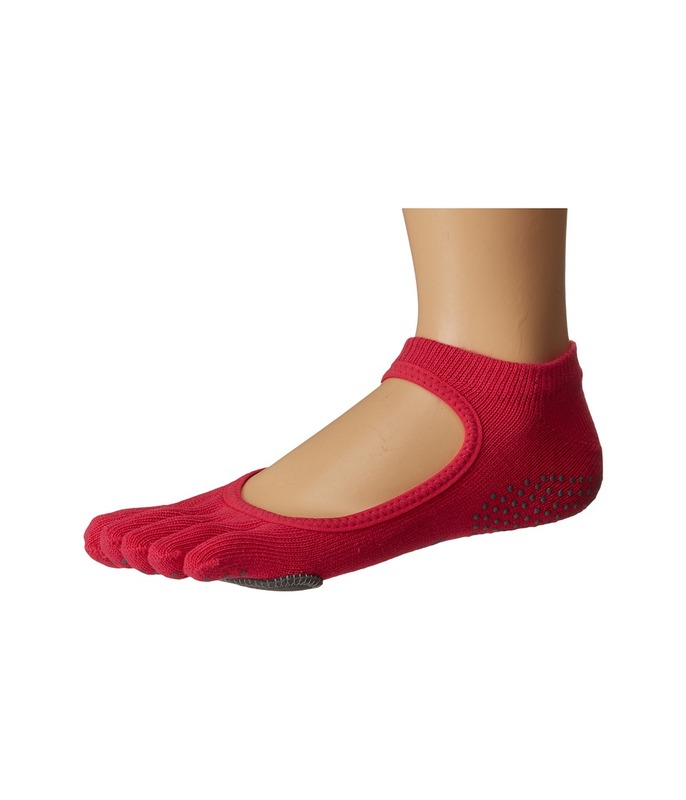 Move with fluidity with the toesox Dance Half Toe Releve! Sold as a one-pair pack. Half low cut length with open front. Individual toe design allows digits to move and spread naturally. Fitted heel keeps sock in place to avoid bunching. Strategically placed leather pad provides superior traction for twists and turns and stops while cushioning the metatarsal head during lands and releves. 90 percent organic cotton, 10 percent spandex. Hand wash. Line dry. Imported. 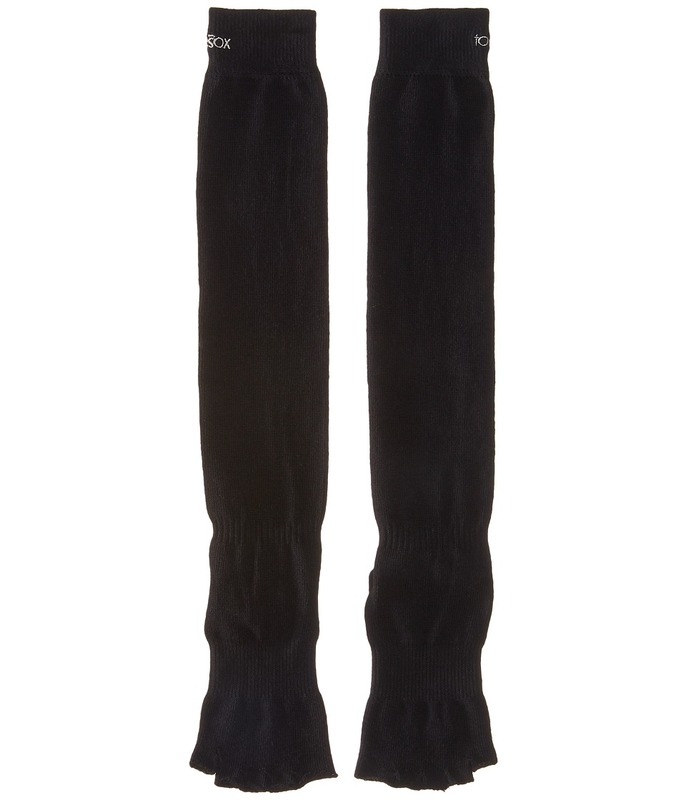 Sold as a one-pair pack. Crew sock sits at the calf. Five-toe construction allows toes to spread naturally. Arch support band. Fitted heel keeps socks in place, and helps eliminate bunching and twisting. 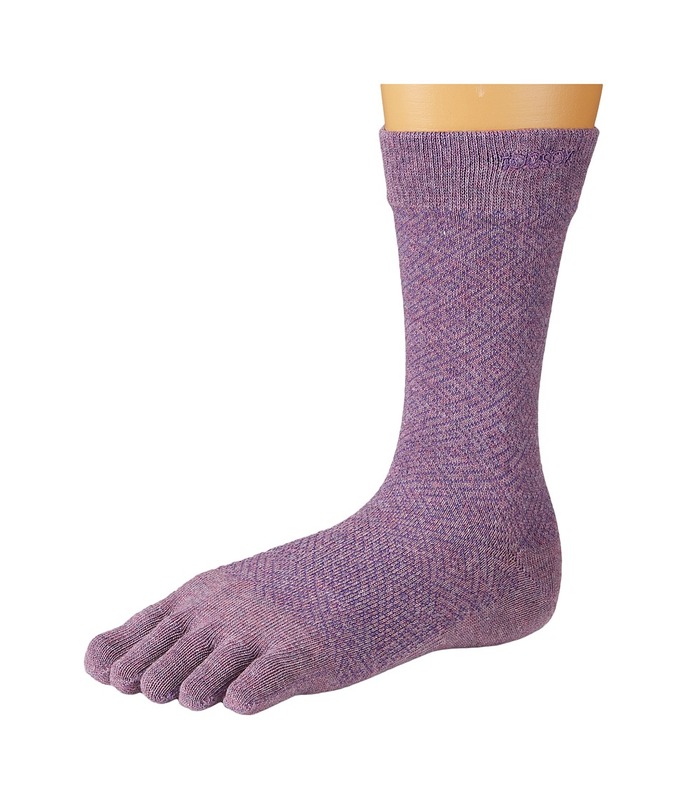 Printed Socks: 58 percent polyester, 32 percent cotton, 2 percent Spandex. Materials may vary from color to color. Measurements: Weight: 0.6 oz Product measurements were taken using size MD (Men~s Shoe 7.5-9.5, Women~s Shoe 8.5-10.5). Please note that measurements may vary by size.